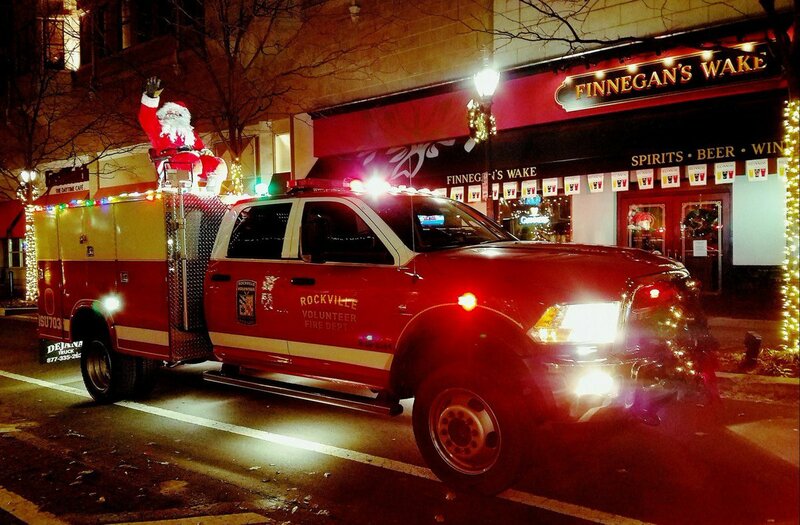 The Rockville Volunteer Fire Department (RVFD) is once again helping Santa make his annual tour of Rockville. The Rockville Volunteer Fire Department posted the 2018 schedule for Santa’s Tour and Menorah Run on their website and Facebook page. 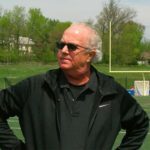 He has a busy schedule with so many neighborhoods in Rockville to visit. 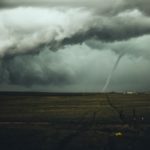 His visits will be between 6 and 8:45 p.m., most nights. But he suggests you check the RVFD Facebook page for updates. Santa asks that everyone listen for the sirens and keep an eye out for him riding on the fire truck. The Menorah run takes place Tuesday, Dec. 4 and has Santa, members of the fire department and the Chabad of Upper MoCo joining together for a parade through Fallsgrove, Potomac Glen, Washingtonian Woods, and Kentlands Shopping Center. The parade finishes at the Chabad of Upper Montgomery County for a community Hanukkah Party and the Lighting of the Menorah at 8 p.m. Find the parade route, here. On Friday, Dec. 7, Santa will be on hand for the Kentlands Tree Lighting. Santa will visit the neighborhood of King Farm on Monday, Dec. 10. On Tuesday, Dec. 11, the Man in Red will visit Woodley Gardens & College Gardens. Santa and his firefighting elves will be in Rockville on Wednesday, Dec. 12 in the Lincoln Park, Maryvale, and East Rockville neighborhoods. Thursday, Dec. 13 will find Santa in the Falls Mead and Hurley Drive neighborhoods. Friday, Dec. 14 will find the Man in Red and his firefighting elves in Derwood. On Saturday, Dec. 15, the Man in Red will visit the Horizon Hill neighborhood. Next up, Santa will visit the Glenora Hills, Dav Road, Hiwood Drive and Dundee neighborhoods, Sunday, Dec. 16. 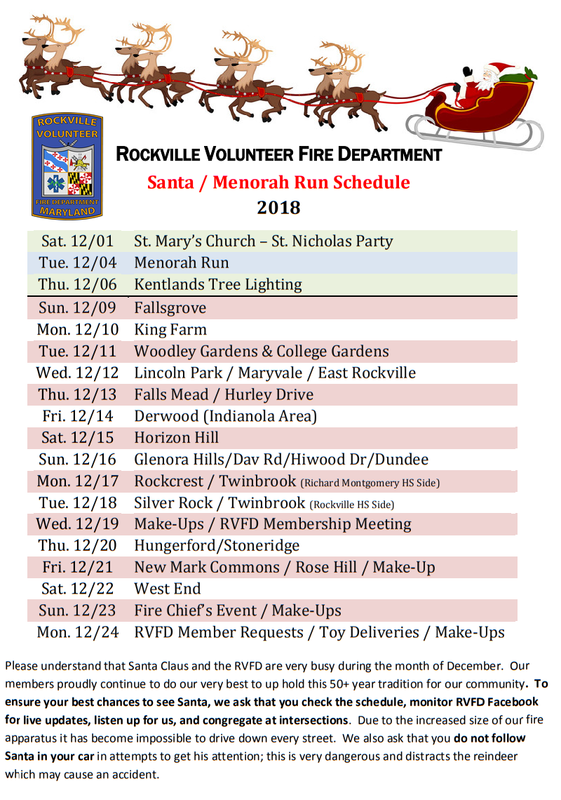 Santa and his firefighting elves will be in the Rockcrest and Twinboork (Richard Montgomery High School side) neighborhoods on Monday, Dec. 17. 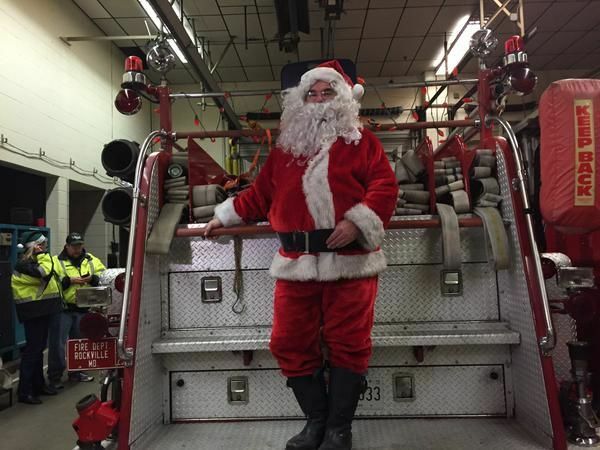 Tuesday, Dec. 18 Santa plans to visit the Silver Rock and Twinbrook (Rockville High School side) neighborhoods. Santa gets a bit of a break on Wednesday, Dec. 19. That is unless his elves note that a neighborhood has been missed, then they might make a make-up run. 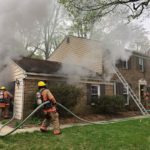 Check the RVFD Facebook page. Santa visits Hungerford and Stoneridge on Thursday, Dec. 20. Friday, Dec. 21 finds Santa in the New Mark Commons and Rose Hill neighborhoods. Santa’s last scheduled run takes him to Rockville’s West End on Saturday, Dec. 22. Rockville Volunteer Fire Department asks families who wish to see Santa to congregate at intersections and monitor the RVFD Facebook for live updates. Unfortunately it is not practical to drive down every street. Please do not follow Santa in your car as this is very dangerous and distracts the reindeer and may cause an accident. If your neighborhood is not on the schedule, please send RVFD a Facebook message or email santa@rvfd.org. The Rockville Volunteer Fire Department is also selling Christmas Trees this year. Trees are being sold for $40 – $95 depending on their height, wreaths are $20. The Tree Lot is open Saturday and Sunday from 9 a.m. to 9 p.m. and Monday through Friday from 6 to 9 p.m. The RVFD Station 3 is located at 380 Hungerford Drive, next to Rockville Town Square.